This is my desk. It’s both my personal desk and my work desk. 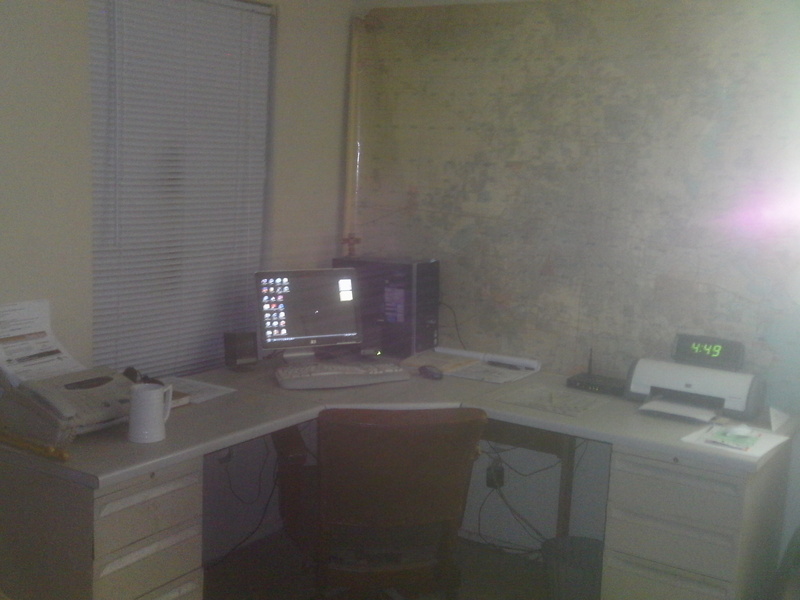 What I am directing your attention to here is that big wall map. 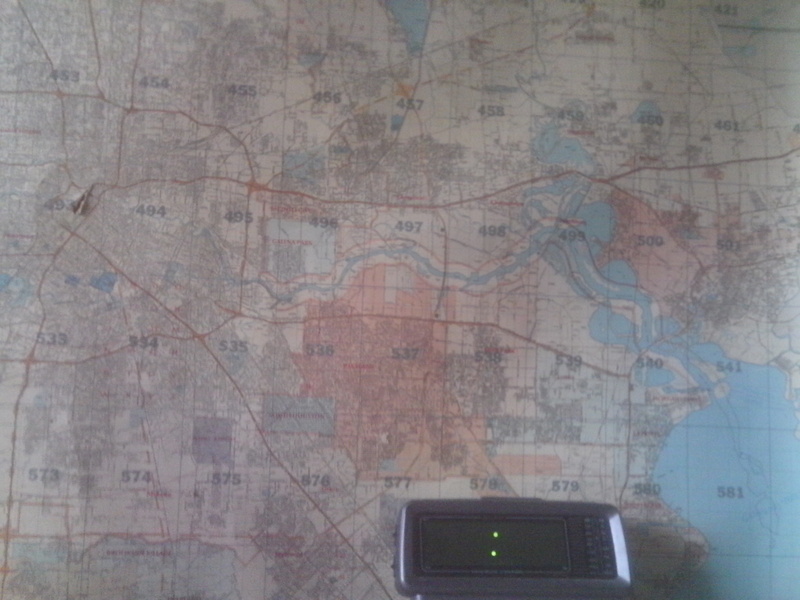 It’s a map of the entire Houston area and I use it for reference. This is a closeup of the East side of the city. Does anyone else see what I see? If not, click the photo to enlarge it.